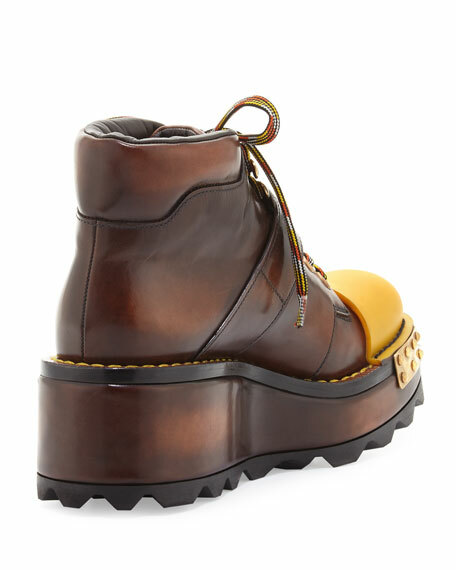 Prada two-tone vitello leather hiking boot. 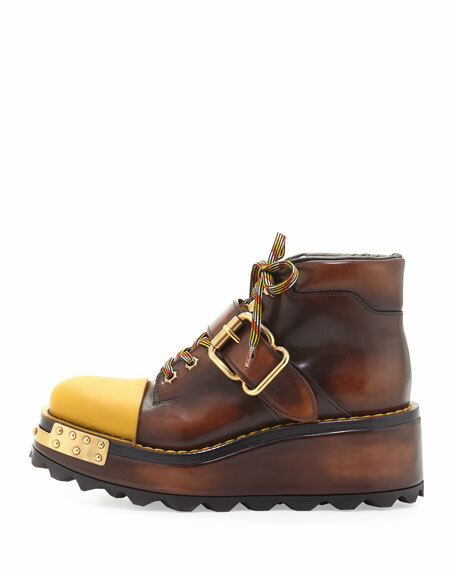 Round cap toe with metal plates. 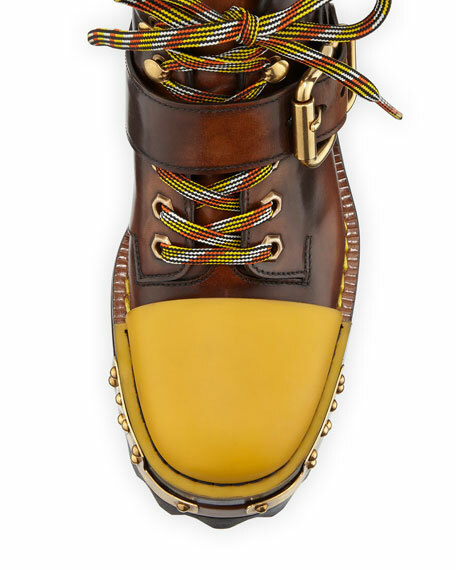 Lace-up front with buckle strap. 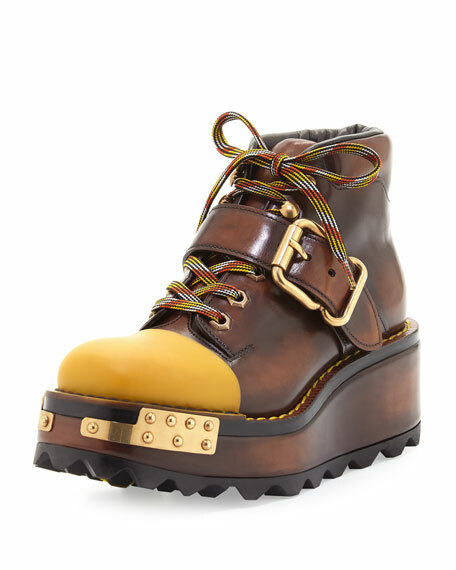 For in-store inquiries, use sku #1884458.